globalization. The book, which grew out of courses taught by the authors at Harvard and Brown universities, can be used both by advanced undergraduate and graduate students, and as a reference for professional economists in government or international financial organizations. The Economics of Growthfirst presents the main growth paradigms: the neoclassical model, the AK model, Romer's product variety model, and the Schumpeterian model. 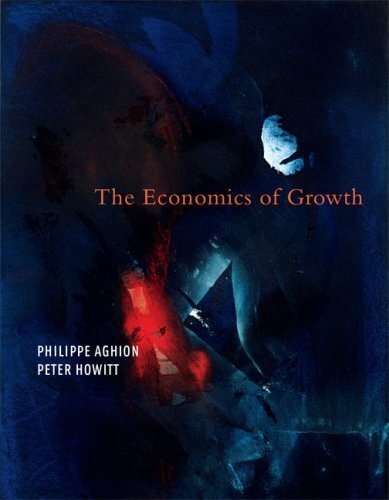 The text then builds on the main paradigms to shed light on the dynamic process of growth and development, discussing such topics as club convergence, directed technical change, the transition from Malthusian stagnation to sustained growth, general purpose technologies, and the recent debate over institutions versus human capital as the primary factor in cross-country income differences. Finally, the book focuses on growth policiesanalyzing the effects of liberalizing market competition and entry, education policy, trade liberalization, environmental and resource constraints, and stabilization policyand the methodology of growth policy design. All chapters include literature reviews and problem sets. An appendix covers basic concepts of econometrics.